Synopsis: Louis Drax is a boy like no other. He is brilliant and strange, and every year something violent seems to happen to him. On his ninth birthday, Louis goes on a picnic with his parents and falls off a cliff. The details are shrouded in mystery. Louis’s mother is shell-shocked; his father has vanished. And after some confusion Louis himself, miraculously alive but deep in a coma, arrives at Dr. Pascal Dannachet’s celebrated coma clinic…Full of astonishing twists and turns, this is a masterful tale of the secrets the human mind can hide. When I looked at goodreads I found that the ratings from people are very different, which I think is very interesting since most of the times when I read a book the majority of the ratings and reviews I see are either really good or really bad. From the title of the book I expected a really mysterious, interesting story. The beginning of the book is good. We dive straight into Louis Drax his life and hear his thoughts that are very dark and aggresive. I really enjoyed the first chapters where we hear these thoughts from Louis Drax. As we get further into the story, I notice how much of a problem Louis actually is. In the beginning I thought thas he was just a kid that had a lot of luck being almost dead so many times and just has bad thoughts about certain things, but I was very wrong about that. Louis turns out to be not only accident prone to himself, but everyone around him seems to fall apart when he gets into their life. The person I felt really bad for was Fat Perez. He is the psychologist of Louis and as you will read further on in the book his life turns upside down because of Louis. He turns into an alcoholic after he lost Louis as his client when Louis told his mom that Perez had sexual feelings for little boys. This made him turn into an alcoholic. Although the story sounded really good, I wasn’t getting into it. I couldn’t place myself in the characters of the story and the plot wasn’t too impressive. I also expected a different plot. 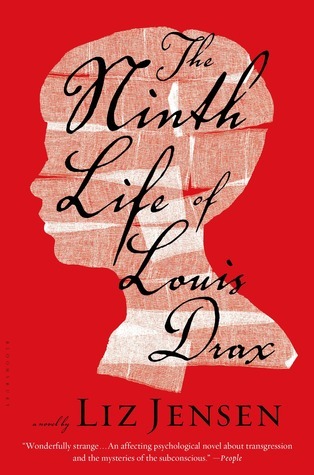 When I looked at the book title I thought that the story would form around the lives that Louis Drax had wasted/lived and how all the lives where lived through. I was disappointed that the entirety of the story Louis turns up very few times. We only see Louis in the beginning and the rest of the book he is in a coma. I hoped for more in the book from Louis his point of view. The accidents that Louis had in his past 8 years could have been explained, because I was very curious about that. We mostly read the book from the eyes of Dr. Pascal. What I loved about this book was how the character of Louis Drax was when he wasn’t in a coma. The child that has really bad thoughts and brings everyone terror really appealed to me.